Young, Fabulous and a Foody! 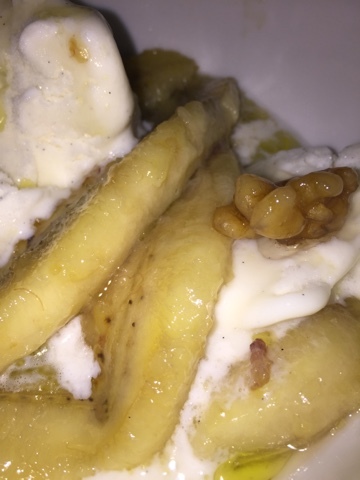 : Banana Dessert! One of my favorite and quick desserts to make. Lightly fry 1 banana in Olive or Coconut Oil. 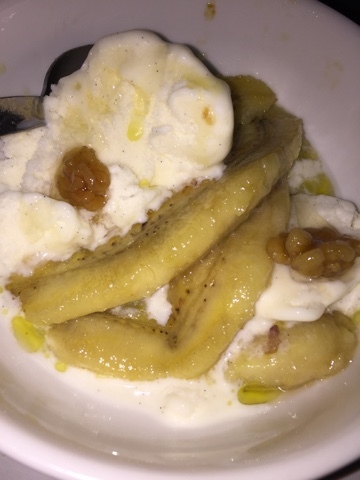 Place the bananas on top of your favorite ice cream. I had some leftover walnuts and syrup that I just drizzled over. Be creative and add your favorite toppings,YUM!!!!!! !